Place orange juice in a small saucepan over medium low heat. Cook and stir 10 to 15 minutes, until reduced by about 1/2 and thickened. Remove from heat, and allow to cool. Stir balsamic vinegar and ginger root into orange juice. Line a medium baking dish with parchment paper. Place salmon fillet on paper, skin side down. Season with salt and pepper. Cover with 1/2 the orange juice mixture. 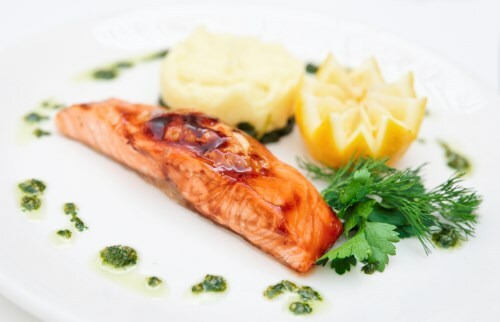 Bake salmon in the preheated oven 10 to 15 minutes. Brush with remaining marinade, and continue baking 10 to 15 minutes, until easily flaked with a fork.